Cool, calm and sophisticated 1940s renovated Cape Cod-style house which oozes style & character from every room. Bright & sunny 3 bedroom 2 1/2 bath has three levels, on almost 1/2 acre. From the moment you enter through the light-filled French doors into the media/family room, you will feel right at home. The second level opens to the gleaming mahogany wood floors, spacious eat-in kitchen that is a chef dreams, a separate dining room with built-in china closet adds to your dining experience. Living room and office built-in bookcase/shelving-Which could also for guest overflow. The third floor brings you to the master bedroom with over sized closet, full sparkling bath, second bedroom & 3rd bedroom/Library with built-in shelving throughout which to enjoy at any time. This house is nestled back into the nature privacy curtain of mature trees and raised bed lush organic gardens. 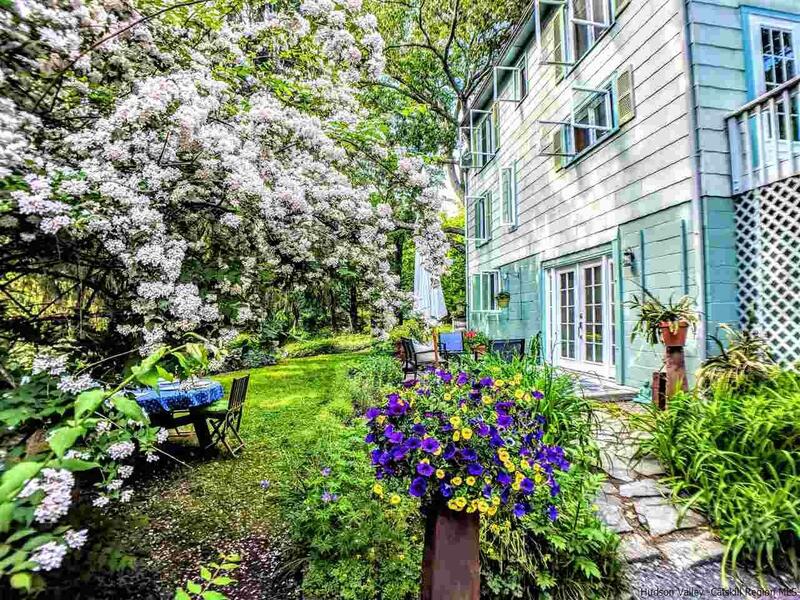 Just to add to this delightful home is detached three season meditation or artist/writers studio sited as your private sanctuary.Just minutes from the center of the Village of Woodstock, Kingston. Immaculately maintained & well loved. Simply a home that you will love to come home to.